Lately I've been reading a lot. Okay, I usually read a lot. More specifically, I've been reading a lot of books related to music. 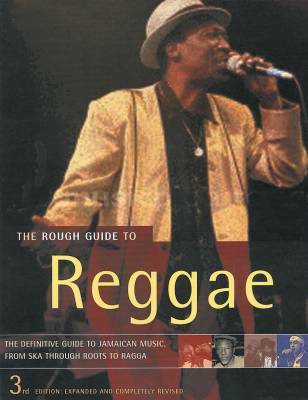 Right now I'm the working through The Rough Guide to Reggae by Steve Barrow and Peter Dalton. If you're into reggae or ska at all, it's a fantastic resource. It traces the development of reggae from mento, a Jamaican form of calypso, through dancehall, ska, rudeboy, rocksteady, reggae, dub, to the beats of today, and describes the influences from US-based R&B and soul. The book lists a huge (really huge - I'm not kidding) number of artists and producers that were key in the development of reggae. Of course everybody's heard of Bob Marley and the Wailers, but although they are one of the most important figures in the reggae world (and Aston Barrett is one of my most favouritest bass players ever), there's waaaay more to reggae than Bob. Tons of recommended CDs and records are listed too, but many are kind of obscure. I discovered a website for Soul Jazz Records, which has a lot of Studio One material available on CD, LP and mp3, including many compilations. Studio One, run by Coxsone Dodd, was one of the most influential studios in Jamaica. 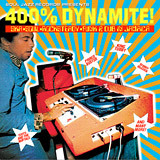 They have a cool compilation series, the 100% Dynamite Series, which contains some good material throughout the development of reggae. Some of the artists and bands I need to get more of: The Skatalites, Lee (Scratch) Perry, The Upsetters, The Maytals, The Abyssinians, Burning Spear, The Heptones, Alton Ellis, Slim Smith, Roland Alphonso, Augustus Pablo, U-Roy, I-Roy, Jackie Mittoo, Delroy Wilson, .... and I haven't even got half way through the book yet! And it's due back at the library in a few days! Oh yeah I think there's a companion CD you can get. I'll have to look into that. Also included are some sidebar informational snippets on rastafarianism, and political and economic stuff that went on in Jamaica. These things are very much tied in with the music of Jamaica. Very interesting. Where did the word reggae come from? There seems to be a few theories on that. In The Rough Guide to Reggae, Steve Barrow says "Singer-producer Clancy Eccles, who has been credited with deriving the name 'reggae' from 'streggae' (Kingston street slang for a kind of good-time girl), ..." However, Barrow also says the first record to use the term was "Do the Reggay" by The Maytals (led by Toots Hibbert). And Hibbert says the word just "came out of my mouth" (see this article). Bob Marley claims that it came from a Spanish word meaning "the king's music". Whatever. Recently a great video feature appeared on Behind The Notes. A bass and guitar maker from NY talks about how he got into guitar making, and some of the construction and setup details on his instruments. He sounds like quite a knowledgeable guy. If you're interested in or play guitar or bass, you'll learn a bit about guitar construction, setup geometry, fret work, and more. Quite fascinating. 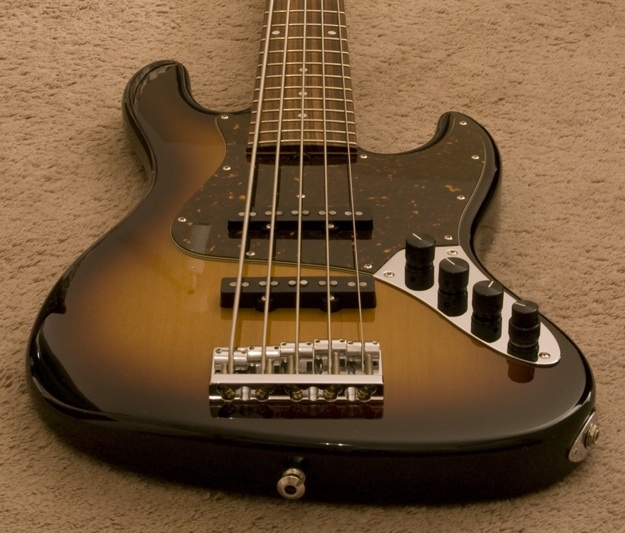 Roger Sadowsky's basses are becoming the "it" basses with a lot of players. He is a perfectionist when it comes to fret work and instrument setup, and his basses have been called "Fenders on steroids" as they are based on classic Fender Jazz and Precision designs, but with numerous improvements. What's interesting is that he has two lines of basses. A customizable line is made in New York, and naturally those are quite expensive. He also has a shop in Tokyo, Japan that makes instruments with essentially the same quality and attention to detail, but with fewer options than the NYC models (like the fancy tops), and offers them at a reduced price. They're pretty cool looking too!